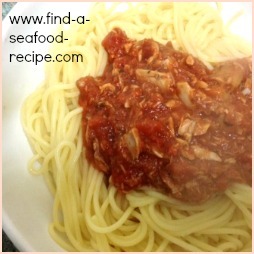 This seafood marinara recipe is authentically Italian - the delicious combination of seafood, tomatoes, wine and garlic will get your tastebuds going before the food reaches the table. I like to serve the marinara over spaghetti or fettucine - the choice of pasta is yours, but boil about 1lb for four people. The instructions will be on the packet, but dried pasta generally takes around 8 minutes and fresh about 2 or 3 minutes. 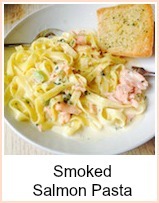 The sauce is absolutely perfect and I often make it and put just canned tuna in - photo here to the left. Heat the oil in a pan and fry the scallops for 1 minute - remove and set to one side. Add the garlic and onion and fry until softened. Add the tomatoes, wine and tomato puree and simmer for about 20 minutes until the sauce is slightly thickened. Just stir it occasionally so that it doesn't stick. Add all the seafood and cook for a further 2 minutes or so. Stir in the parsley and basil and serve over hot pasta. 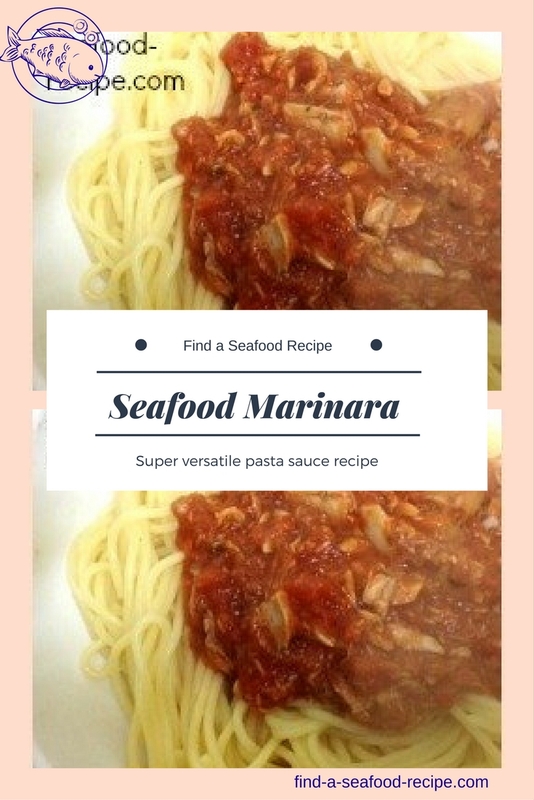 The marinara sauce is very quick to make and one you will use regularly - the choice of seafood is yours - try some mussels, crab meat, clams or even canned tuna - up to you - frozen mixed would be great, defrost first or the sauce could be watery. 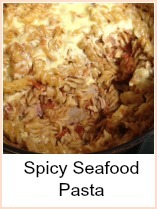 You can cook the sauce in advance - don't put the seafood in until the last minute though. You can also cook the pasta in advance. Cook 1 minute less than recommended and then when you're ready, boil a pan of water (with a dash of oil) and plunge the pasta in. It will take about a minute to heat through. You're best to use chopped tomatoes and add some tomato puree to 'beef' up the flavour. Fresh tomatoes need to be very ripe to make a successful sauce so the canned/boxed variety is more reliable. Freshly grated parmesan sprinkled over, some crusty bread to mop up the juices and you have a very quick seafood recipe. 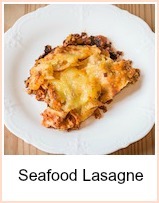 You can use any fish you fancy for this sauce - frozen mixed seafood, canned tuna, salmon, sardines - the choice is yours, but it's a really easy thing to make and can be store cupboard food. Such a versatile sauce, you'll use this with spaghetti, lasagne, on baked potatoes - the uses are endless and you'll be glad you found out how to do it. 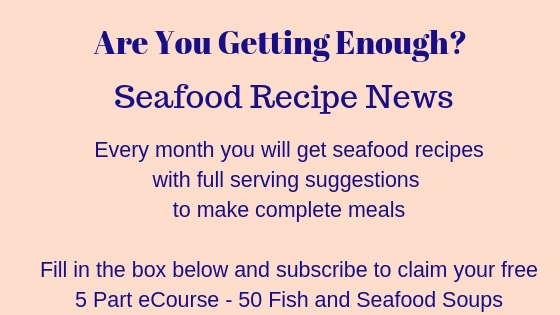 You can use fresh or canned fish.